Sun Powered Pizza! Pizza Factory Is SOLAR !! 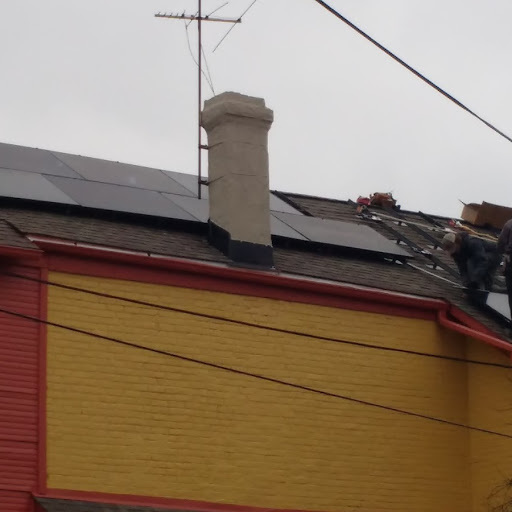 Dayton’s Original Pizza Factory has gone SOLAR !!! On Tuesday March 26 our solar panels started producing power and we are officially making partially sun-powered pizza! The system generates 11.9kW of power and should replace about 20% of our electric power usage. 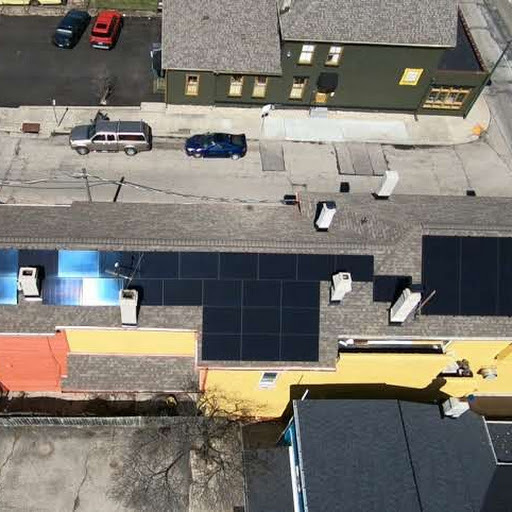 Here is a bird’s eye view of our panels in operation on Day 1 of going SOLAR! Also installed was an electric vehicle charger and we hope to eventually add an electric vehicle for deliveries. 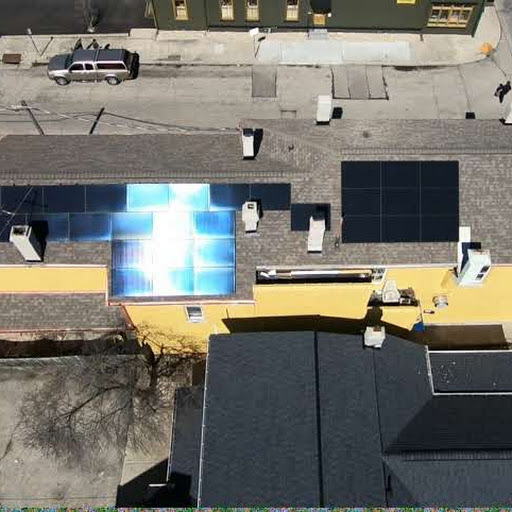 We learned a lot about solar as this project developed, so feel free to call or email owner Bill Daniels ([email protected]) if you have an interest in going solar as well. Solar power has reached the point where it is not just a good idea ecologically, but it has become an excellent investment with a very good rate of return! In the meantime, enjoy some sun-powered pizza from Dayton’s Original (Solar!) Pizza Factory. New Year’s Stella Artois Sale! Leave the driving to us this holiday season, as we deliver beer, hard cider and wine with any $10 minimum food order! Featuring Stella Artois for only $16.99/12pk cans!!! Call us for your holiday cheer and we’ll deliver the beer (or hard cider or wine)! May You and Yours have a wonderful Holiday Season and a Happy New Year! Thank you for your patronage and Best Wishes! 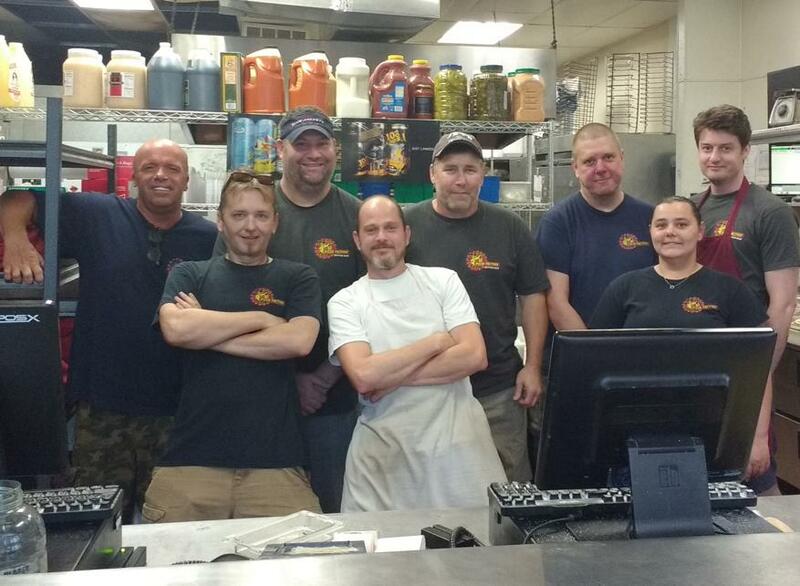 Thanks to the wonderful team at Dayton’s Original Pizza Factory! Over 130 years of DOPF experience among the team below! Yes, 130+ years!! We will be open at 4:00pm on Monday Sept. 3, 2018 and closed in the morning in observance of Labor Day. Dayton’s Original Pizza Factory wishes you and yours a wonderful Labor Day Weekend! For you cutting edge internet users, a new company (what3words.com) has mapped the earth into 10 foot x 10 foot squares with simple 3 word address for each square. The 3-words that will now bring you to the front lobby of Dayton’s Original Pizza Factory are: “return.city.lovely”. We hope you RETURN soon to our CITY and pick up a LOVELY Dayton’s Original Pizza Factory Pizza! Or better yet, call us and order with your “what3words.com” 3-word address and we’ll bring it to you (if you’re within our delivery area, of course), and please make sure your 3-word address is the square at your front door or main entrance. Cheers! We will close one and 1/2 hours early at 9:30pm Tuesday July 3, 2018 and be closed Wednesday July 4th in observance of Independence Day so our employees can enjoy the spectacular Dayton fireworks and then celebrate the day with their families. We will re-open Thursday July 5 at 10am and resume our regular business hours. Dayton’s Original Pizza Factory wishes you and yours a wonderful 4th of July and hope you enjoy and appreciate our great nation– especially on it’s birthday! Happy 4th! Labatt’s Blue On Sale for the Stanley Cup Playoffs! Get a 12 pack of Labatt’s Blue delivered with your food order for $11.99 all through-out the 2018 Stanley Cup Playoffs!! (additional $10 minimum food order required and must be 21 years or older.) So when the game is going into overtime, you don’t need to go out and risk missing a great game’s final goal- give Dayton’s Original Pizza Factory a call! Dayton’s Original Pizza Factory will be closed Easter Sunday April l, 2018 so our staff can enjoy the day playing bunny and egg-based April Fools pranks on their families. We will re-open for our regular hours at 10:00am on Monday April 2. Have a wonderful Easter and April Fools day! Top 10 at Mid America Pizza Pizzaz Competition! Dayton’s Original Pizza Factory finished in the top ten out of 40 contestants with an eighth place finish in the 2018 Mid America Restaurant Expo Pizza Pizzaz Competition held Jan. 28, 2018 in Columbus OH. Participants from across the United States and Puerto Rico battled for the title of “Best of the Midwest Pizza” and a $5000 first place prize. Hosted by one of the the FoodNetwork Iron Chefs, the contest judging criteria included Presentation, Topping, Crust, Sauce, Marketability, and Overall Taste. Dayton’s Original Pizza Factory has been a top five finalist in two previous Pizza Pizzaz competitions and plan to participate again in the 2019 contest.